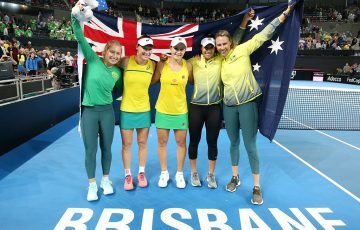 Australia’s Fed Cup captain Alicia Molik has named Sam Stosur, Jarmila Gajdosova, Casey Dellacqua and Ash Barty to take on Switzerland later this month. 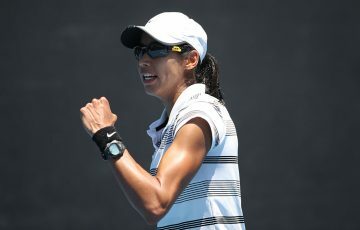 Australia’s Fed Cup captain Alicia Molik has named an unchanged team of Sam Stosur, Jarmila Gajdosova, Casey Dellacqua and Ash Barty to contest the World Group Play-offs in Chiasso, Switzerland later this month. Eighteen-year-old Storm Sanders from Western Australia will join the team as “orange girl” following promising results on the Pro Tour. 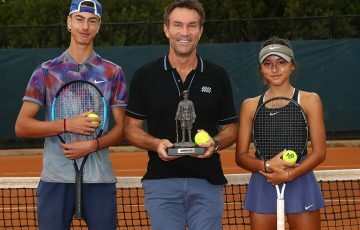 Sanders won her first title in Launceston in February and followed that up by reaching the final in Ipswich and semifinals in Bundaberg. “I have absolute faith and belief retaining the same team (as in the first round against Czech Republic) to face Switzerland,” Molik said today. “Our playing list has collectively enjoyed much success on clay over the last few years. Each of the girls is dedicated to doing everything possible for team success and I am proud of them for this reason. 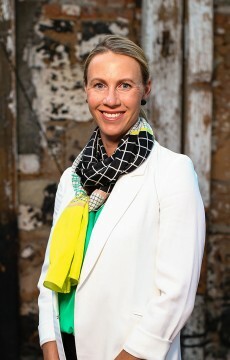 Stosur said she was looking forward to meeting up with the team this weekend to prepare for the tie. “I’m really looking forward to working with Alicia and the girls to win this tie against Switzerland. Fed Cup is always a great week, we have a terrific team and I’ve played some of my best tennis in this environment,” Stosur said. 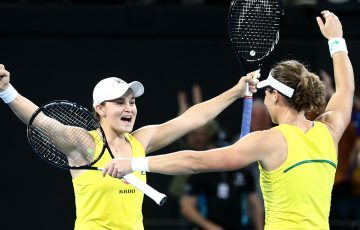 Australia have won five of their six Fed Cup ties against Switzerland, most recently posting a 4-1 win in Fribourg in February 2012. Switzerland is expected to name two top-60 players, Romina Oprandi (ranked No. 52) and world No.57 Stefanie Voegele to lead the team. 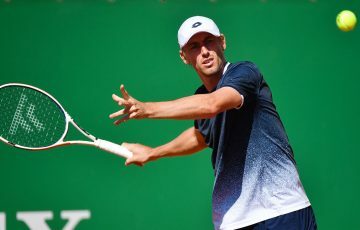 Voegele has found some impressive form recently, qualifying for both Indian Wells and Miami and reaching the semis at Charleston, defeating 10th-ranked Caroline Wozniacki along the way. 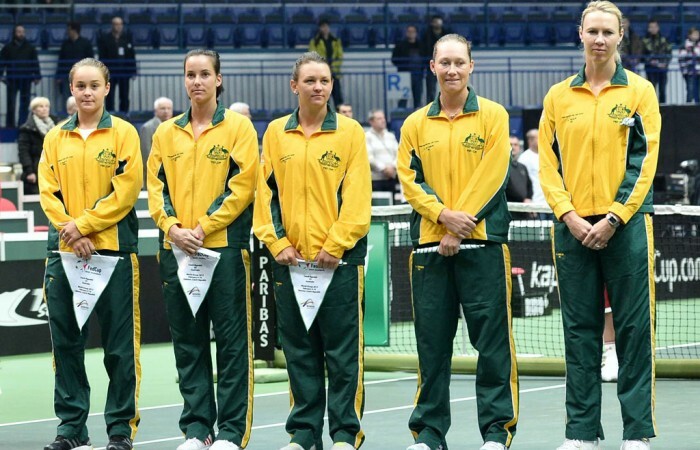 Australia needs to win the Play-off to stay in the elite eight-nation Fed Cup World Group. 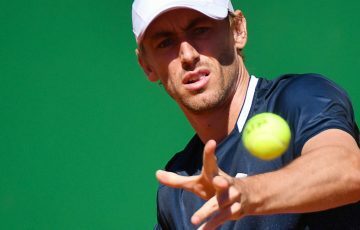 The tie is unlikely to be broadcast but tennis.com.au will provide full coverage including live scores. There will also be live and behind-the-scenes twitter updates from @TennisAustralia.